We are pleased to announce that Frako LKT DD60 Capacitor Line is a finalist for Consulting-Specifying Engineer 2017 Product of the Year. We would be honored to have your vote! The LKT…Type DD60 3-phase dry-type capacitor is safer and stronger for solving power factor and harmonic filtering applications where high harmonics can destroy traditional capacitors. 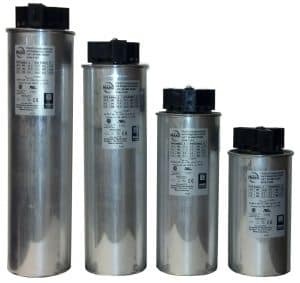 The Type DD60 ac power capacitor employs four degrees of safety plus patented design features that improve the reliability of capacitors in harsh environments. Contact to the internal windings is made by a patented, non soldered contact ring to eliminate winding stress due to soldering. Self-healing film quickly isolates areas of dielectric breakdown in the winding when exposed to dangerous transient voltages. The segmented film completely removes a tiny section of film to prevent catastrophic failures due to severe transient voltages. Vote Here at CSE Web Site.